We love fairy tales here in our family. We have many great fairy tale movies that we like to watch for family movie night. I know we are not alone. 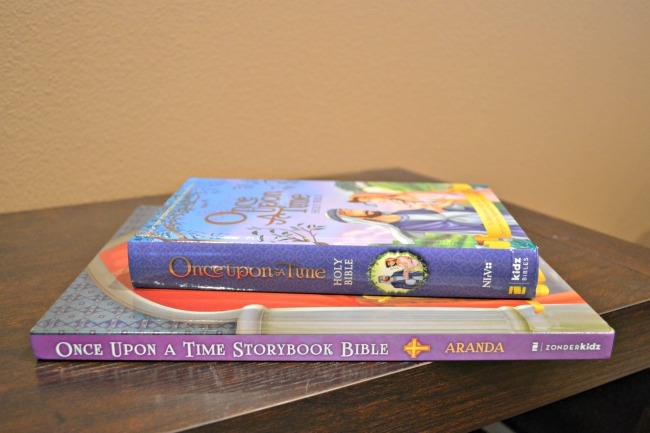 The popularity of fairy tales has prompted Zondervan to publish an exciting Bible for kids. 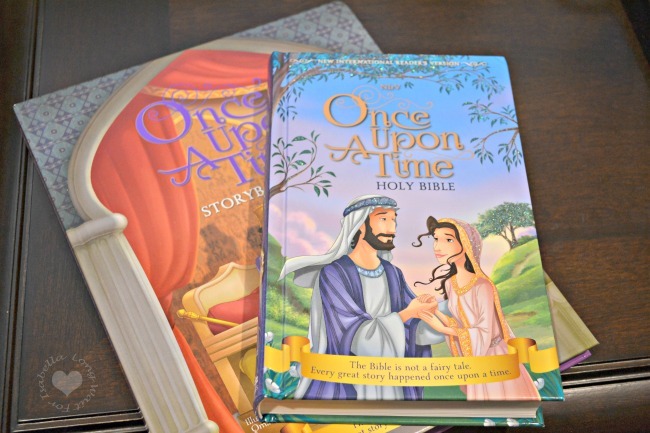 It’s the Bible stories you know and love in fairy tale form. The Bible is not a fairy tale, but every great story happened once upon a time. 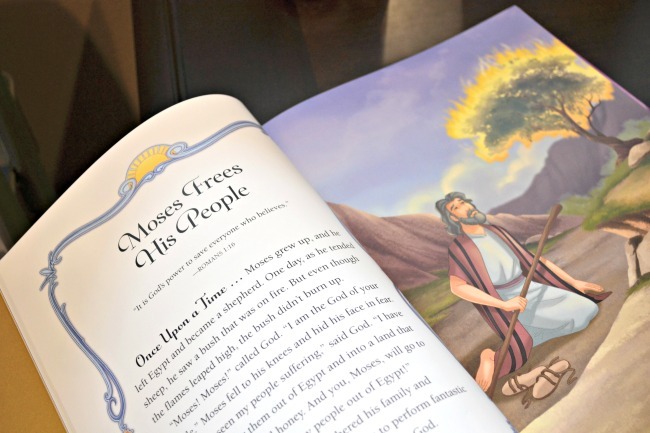 The NIrV Once Upon a Time Holy Bible contains a presentation page and also highlights six great Bible stories for kids on 24 full-color inserts. Each kids Bible story is told on four pages in full-color, illustrated splendor. Also contains the complete New International Reader’s Version (NIrV) of the Bible. We all have our own tale to live and what better place to look for help and encouragement than the greatest story of all! 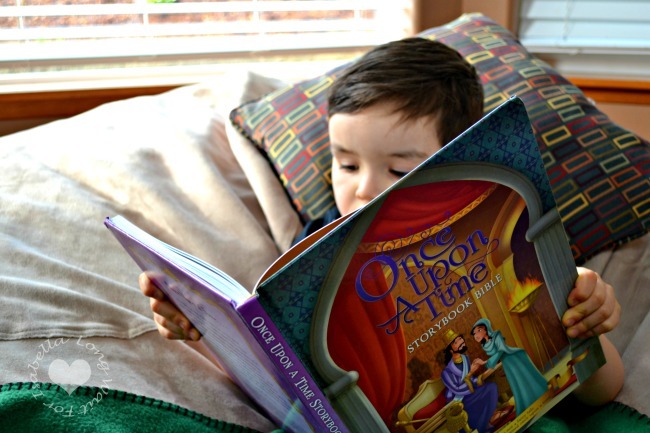 Do your kids love fairy tales? Get this Bible! Each captivating story is told in a way that will get children excited about reading the tales of real heroes of the Bible. Read the tales of real heroes of the Bible! Nathanael loves the chapter, “Moses Frees His People”. The story of Moses is his absolute favorite. We love the illustrations and the easy to read story form in this book. 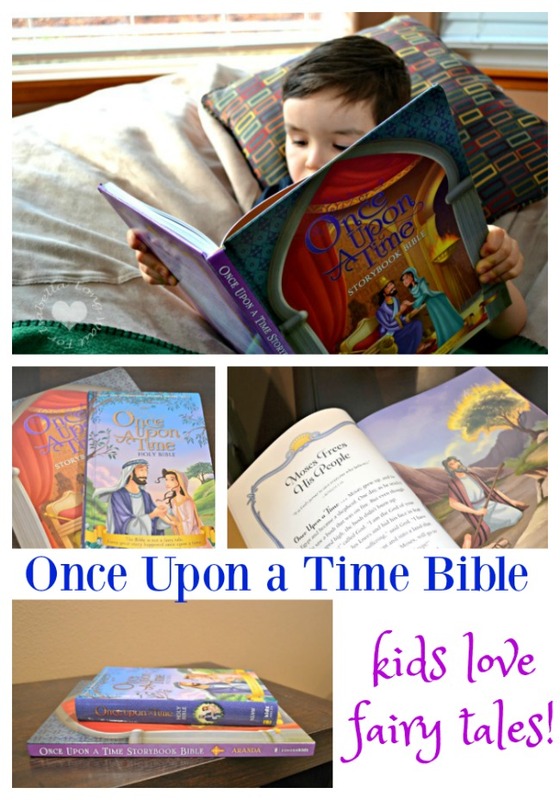 What’s your kids’ favorite Bible story? Buy the best Bible for kids today! Zondervan, part of HarperCollins Christian Publishing, is a world leading Bible publisher and provider of Christian communications. For more than 80 years, Zondervan has delivered transformational Christian experiences through its bestselling Bibles, books, curriculum, academic resources and digital products. The company’s products are sold in multiple formats, worldwide in more than 60 countries, translated into nearly 200 languages.